Okay, now I'd be really bummed if they reset the server. Rivers Castle continues to expand! I've finished the walls added new towers, a library, a lot of new landscaping, a farm with cows, chickens and every color of sheep (still looking for pigs) and an awesome, automated, portcullis-style gate. I'll be slightly sad to see the current map go. But this update presents so much more to explore than is presently available. So.... In the end I'm in favor of the generation of a new map. Not saying I don't love what we have at the moment. If there's a way for somepony to save the server's map, and send it to me, and others then please, please do so. I would love to still explore around that map. I love always exploring around and seeing how ponies have been doing on their homes and what not. So this new map would give ponies a chance to start fresh, and get something amazing going. WHEN and IF a new map is made I'll be starting on a few large projects I have in mind to get things kicked off on the new map. If it isn't generated then I'll still be building them. A new map will NOT be generated, I'm just gonna say that now. There have been more objections than approvals for this action. I am not counting the 'maybes' and the "Oh I don't mind either way" because those don't tell me what you as players want, just that you don't really care what happens all that much. Which is nice but ultimately not very helpful in the decision making process. So that being said, NO NEW MAP. WE ARE KEEPING THE CURRENT ONE. And before somepony gets confused YES we are sill updating to 1.3 to get the new stuff it's not the same thing. Last edited by Shinula on Tue Jul 31, 2012 6:51 pm, edited 1 time in total. After seeing just how extensive the damage the new griefer did, I now change my vote towards generating a new map. Even though my castle was un-touched, the starter cabin was completely decimated. We're talking blown down to the bedrock destroyed. Even with unlimited stacks of resources, it's just not feasible to repair. The best we could hope for is to pave it over and leave the empty hole underneath. The starter island isn't in much better condition either. On A Pale Pony's home was completely destroyed and there are several random pits that just go down to the bedrock. I'm filling in the ones I can find but it's still a great nuisance. Even with a ton of time and resources, it will be very difficult to remove the scars this vandalism has left on the server and I, for one, don't want to be reminded of it time and time again. I fell the same way Sandy does. I love the map we have now, but after seeing how bad the damage actually is, I vote for a new map when the update is released. Yeah, a new map is probably a good idea. It is just annihilated, I don't think there's a real way to fix it as it is. I think the starter island can always be repaired and there's a lot of good work beyond it that would be completely lost. If we reset because of the griefer, that means they didn't just destroy the starter area. They destroyed the whole map. Well... due to recent events I can see this changes things. So right now, we ARE looking at a new map. Not because of the grief problem, but because of change in votes. @CrystalBrookes: While it would be possible to seal up the extensive damage, or perhaps, just ignore it, really it's a waste of time given the size of the holes. And on that note as well, No you will not lose your work as the current map (1.2.5) will be saved and uploaded to be downloaded, for your convenience. So unless we suddenly have a surge in people changing their minds/telling me No, then we're going to have a new map very soon. Warning: Video is a bit loud. Yesh, I agree with Simon that I'll be sad to see this go, but the new 1.3 looks REALLY cool! If any of you download the map check out X: -180, Z 1500. I'm still calculating how much cobble I used, but It's ALOT!!! Let's just say that for every 5 blocks ---> that way, I use up 1 stack of cobble. 1 stack for 5 blocks. But it turned out beautiful... Another thing, I found the NPC village. (Assuming it was the only one.) 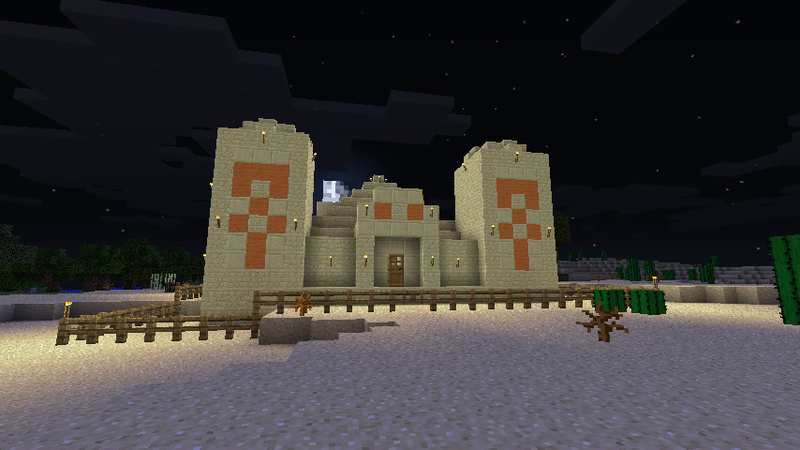 I surrounded the thing with my walls, gave them plenty of room, and chose to protect their village. Yes I can rebuild and yes I do want to see a 1.3 map. Before you guys make a final decision, take a trip to my coordinates and take a look. It's really cool ;)! A few alternatives I talked over with Shinula, 1) We use MC edit to take a large chunk of land, including my city, and transplant it onto the new map about 1500 blocks south. <--- This allows me to keep my stuff but allows you guys to have your new map! Sorry if this suggestion causes alot of work for the OPs, but it's just a thought. I'm perfectly happy rebuilding. 2) We use MC edit and transplant an entire continent from a 1.3 map, including an NPC village, and plant it 500 blocks N, W, or E of the spawn. 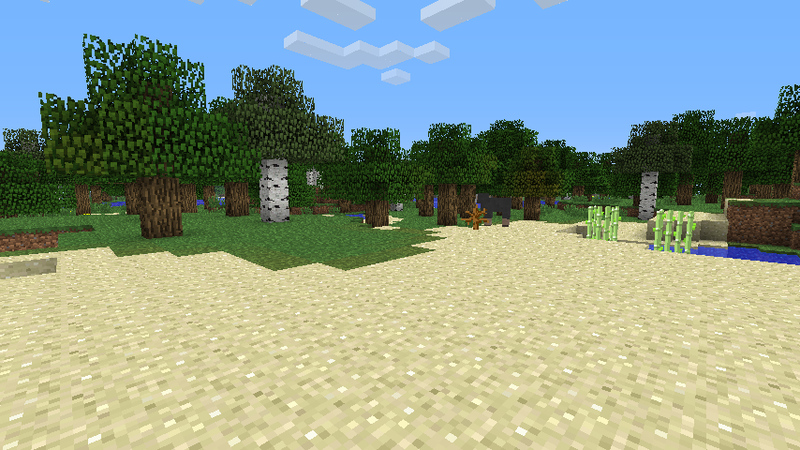 This gives everypony Jungles, NPC villages, and whatever a 1.3 map can give you! 3) We keep the current map, all help seal the scars, and move on. I prefer this. I have two chests full of dirt ready to ship and my own two hands to help plant it. This allows me to keep my stuff, y'all to keep your stuff, and doesn't allow this unfortunate event to overcome us! I was at the spawn and saw what they did, and I agree, it is terrible, but we have the means to rebuild and I intend to use them. WELL, inspired by my Grandfather, I went through each of my quarries and counted every piece of cobble that I have mined. TOTAL: 206 Stacks of Cobblestone, 13184 blocks of Cobblestone (Give or take 5 stacks for dirt and gravel). I've mined all that in probably 24 hours of work and put 24/25ths of it into my city walls. As I type I'm bringing my 42 Stacks of Dirt to the spawn to assist in re-terraforming efforts! If we keep everything the same, I'll be there in the morning ready to go. As Willy Cypress said, I'm looking into using MCedit to please all parties. HOPEFULLY this will mean being able to have a fresh map, and also keep some of the fancier buildings from the previous one. This is not a promise though, I'm not sure if it's viable. Also as of me typing this 1.3.1 is already out, hopefully the server will be up to date soon. I should upgrade to 1.3.1 and provide a copy of the old map online. Not a problem. I will do so right when I get off work in a few hours. I will also be needing people to check just to make sure we don't spawn in somewhere silly. Ok I updated to 1.3.1 I will provides a copy for old map download in a bit. For now, I say we leave the temple more or less alone (it's already been damaged somewhat) until we can safely clear it while avoiding all the traps. It'll work well as a newbie cabin once we outfit it with a few supplies and things. The Mine Little Pony mod is not as of yet working with the new update, so don't bother trying to install it until a 1.3 patch is released. It should be only a couple days, but it'll just break your update and be a hassle if you try to mod it now. I probably won't be playing on the server anytime soon. I have _a lot_ of lag (About 3 minutes worth) and it's making gameplay a nightmare. 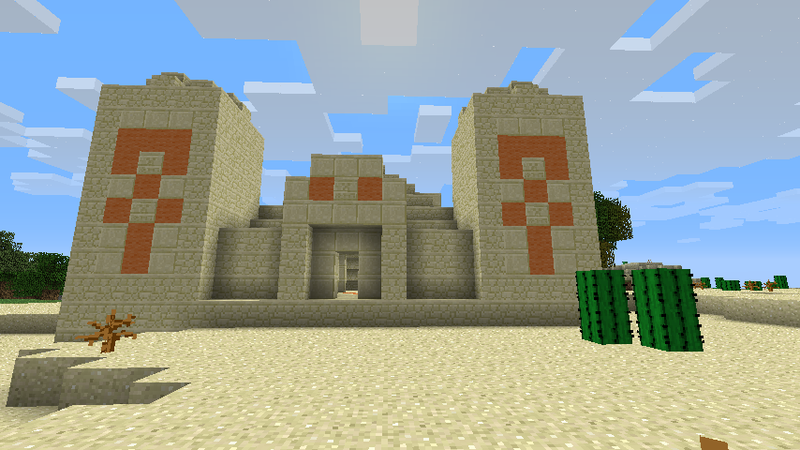 Okay, after a little bit of work, and a bit of repairing from a few creeper incursions, I've upgraded the temple into a fairly decent starting area. Because of spawn protection, there's a small (basically) inescapable pit of water you may spawn in. I didn't notice it until a few more people had joined in and respawned, and we started hitting it, so I apologize, that's my fault for being unobservant. However, the water is just deep enough to drown yourself in places, so you can just do that and get a fresh respawn on solid ground. Hopefully this is only temporary, and we can get spawn protection turned off and fill that in a little bit. Having looked into MC edit it's totally viable to import some of the fancier builds from the last map into the current one. That being said if you want something from the old map (1.2.5) imported into the current (1.3.1) post in the thread/PM, tell me where on the map it is. I really don't want to have to do this more than once and have to ask Mayday to take the server down more than once for it, so don't miss your chance! ^.^ After playing on the new map for a while, I've found a new home that is almost IDENTICAL to my last home AND has new awesome perks! I'm perfectly happy rebuilding now on the new map. Thanks for looking into it though! anypony else want their old stuff??? Also, who can give me the old map? I wanna download it. @Willy Cypress: You can get the old map from Mayday, please request it from her. There's nothing I built that I can't build again but better. ^^ I just wished I'd gotten a video of it. Also, I'll need a million pink wool for my "hot air balloon skyship"
Mine Little Pony Mod, now works for 1.3.1! @TigerHeart: I would be more than happy to help you. The mod I've just posted here is a good start, and to get white-listed, please post in the white-listing thread. Now that the new Mine Little Pony mod works with 1.3.1, I updated my Bird mod. No changes, just a fix so it'll work with the latest version. So, if you want to be able to see me in a proper skin, and not just with black and white splotches everywhere, get this thingy. This will not make you a bird, and you won't even notice anything different if no other birds are around, so you don't have to worry about that. But on the off chance you'd like to give feathers a shot, copy the awq.class file in the "For the Birds" folder into Minecraft.jar after you complete the previous steps. I've again included a mini-guide and reference for making customs skins in the "Plumage" folder. And again, I'd be happy to give custom skins a shot, both for this and for regular ponies. All you have to do is ask.